Millennials' preference towards office design has been ever-changing and the transition of less conventional workplaces will continue to flourish. Unconventional workspaces come in different forms whether it is from meditation rooms to lounge meeting areas that features modular seating and bean bag chairs. The dynamics of unconventional workspaces keep employees content, promotes innovation and relieves stress. ﻿According to a survey conducted by Brandware Research, office workers who are satisfied with their personal workplace are less likely to resign. They are more engaged in their work and have higher job satisfaction. Also, one of the top ten complaints from employees is about workplace design. Therefore, agile workspace design is gradually taking over traditional office designs. Workspaces that are easily movable and transforms from one to another offers flexibility and creativity. 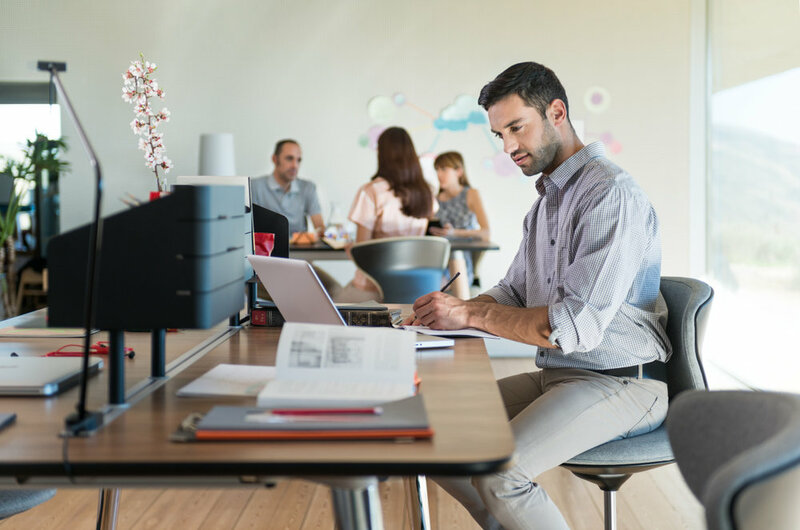 According to a survey from Capital One, a majority of office professionals agreed that innovative workplaces are vital to encourage innovation through work. 82% of them believed that they have their best ideas when they are working in flexible space options. The adjustability of space and choice of furniture that is incorporated in unconventional workspaces encourages movement. This promotes employee well-being, both physically and mentally. The choice of ergonomic furniture such as height adjustable desks also helps to foster changes in posture which can help to relieve back pain. Office designs are changing for the better, from traditional cubicles to more dynamic spaces. Unconventional workspaces are becoming more relevant, having positive impacts on an employee's commitment and satisfaction.